Yes, longest food title in the universe, but you won’t care when you taste how yummy these cupcakes are! 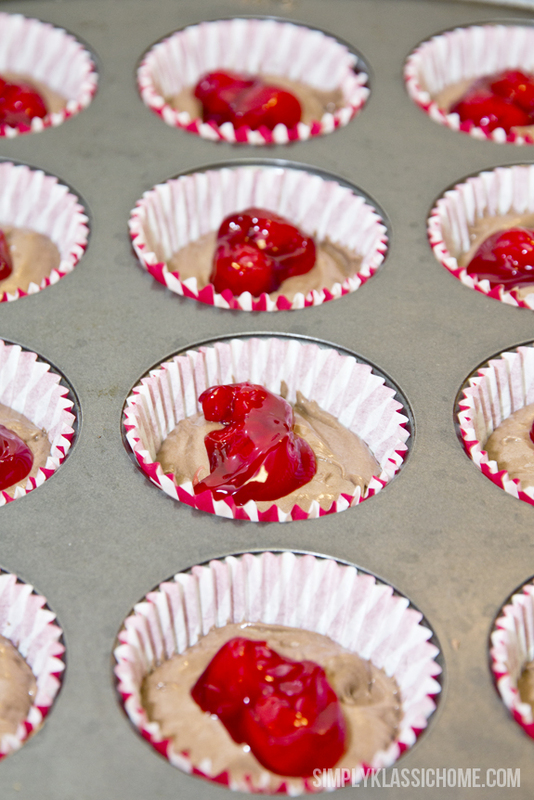 A couple of unusual ingredients make this cupcake extra moist and delicious. Of course in the spirit of keeping it simple, it all started with a box of cake mix. 1. Mix chocolate cake mix, cherry yogurt, and Diet 7Up on low speed for 30 seconds, then on medium speed for two minutes. 2. Fill cupcakes liners about 2/3 full with cake batter. 3. Top batter with a spoonful of cherry pie filling. 4. Bake in a preheated 350 degree over for about 20-22 minutes. 5. Allow to cool completely before frosting with cocoa cream cheese frosting. 1. Pour frosting into a mixing bowl and mix on medium speed for 30 seconds. Add cocoa powder one tablespoon at a time and beat on medium speed for a total of two minutes. If frosting is too stiff, add a tablespoon of Diet 7Up. 2. 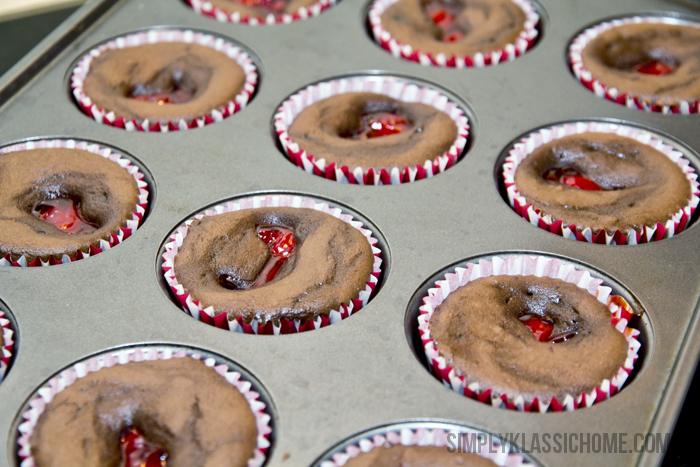 Frost cupcakes and garnish with a cherry. The cupcake would be great alone, and the best part is it’s fat free! But the frosting just puts it over the top! mmmmmmmm looks delicious, I will try it. I need litlle help to choose web hosting, a friend of mine recommended me http://www.elcoplanet.com have you ever heard about them. i have checked there web site and it seems that they offer chip prices and good performances unlimited web hosting space and unlimited bandwidth. 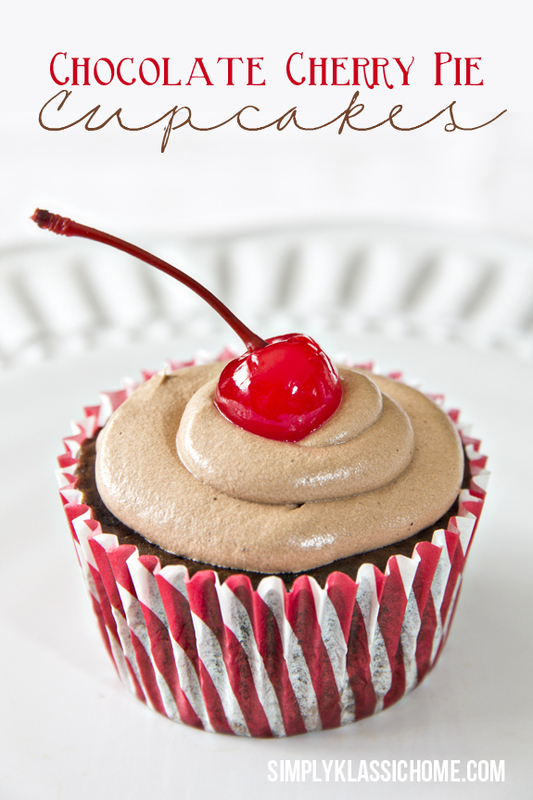 Yum, I love anything chocolate and cherry! Not only do these look delicious, your presentation is so beautiful too! Thanks for sharing your recipe & for making me smile with your awesome photos. I have a link party every Tuesday, please come by. 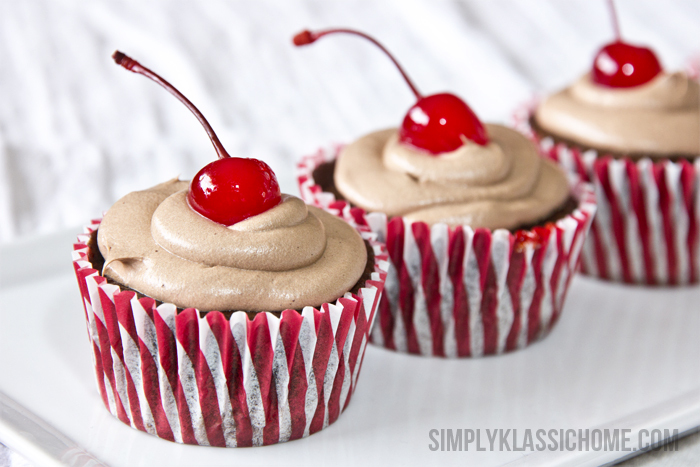 my hubby and boys love chocolate covered cherries…so they would be so in love with these cupcakes! How do I find a calorie count on these!!! They look delicious and I am always amazed on how well you take pictures. You capture the flavor and beauty in all your desert post! Good grief girl, these look amazing!!! I didn’t know that beating the canned frosting would make it more bakery like. I will be trying that tip. I also need to try these cupcakes but they will have to wait. We are doing weight watchers around here right now and those wouldn’t make our points. Of course WW also uses diet soda in some of their recipes that I use. Great pictures also, my friend!